When you contact an HVAC contractor, don’t you want to work with an experienced team? At Cool Sunshine Heating and Air Conditioning, Inc., we have HVAC technicians on staff who have been with us for more than 10 years and are highly trained and educated to ensure we offer you the best in systems and services. We’re a family-owned and operated HVAC company, founded and run by Colorado natives with a loyal staff of highly trained technicians. To learn more about our Thornton, CO heating and air conditioning services, contact our team today! Reach out today to get the HVAC products and services you need for your Thornton, CO home. Let’s say the time has come for a new air conditioner. Have you explored all your options? 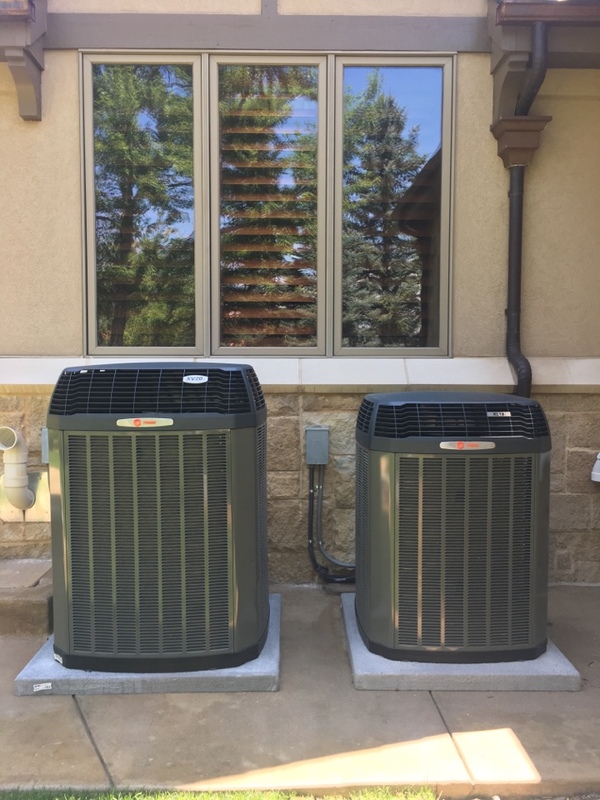 If you already have a central air conditioner in place, and the ductwork is in good condition, then your decision may be pretty straightforward—you’ll just replace it with another central air conditioner. If you want to save space though, and/or you have damaged ducts, you may want to check out the ductless system. Whatever you decide on for your AC replacement, we’re here to help. Why should you contact our Thornton, CO air conditioning maintenance technicians? Because when you do, you’ll be getting in touch with highly trained and experienced professionals who are interested in much more than just a "one and done" job at a high cost. Our AC tune-up and AC repair services are thorough, affordable, and our team wants you to be a part of our big, happy family for the years to come. Call us today to schedule air conditioning repair and maintenance services in Thornton, CO and the surrounding area. It’s no secret that when you live in Colorado, you need a quality heating system installation. Not only does this mean you need to choose the most efficient heater for your home and your specific needs, but it also means that you need to ensure that system will be properly sized for your home so it can operate as efficiently as it’s meant to. The same can be said for a furnace installation or a boiler installation. When you need a professional for your installation or heater replacement, give our team a call. Does your boiler seem to be acting up? Perhaps it’s not providing as much heat as it used to, or you hear rumbling sounds coming from the tank. No matter the symptom, if anything seems amiss the best thing you can do is call for boiler repair right away. While some problems may be relatively minor, others can be more dangerous and can end up causing a safety hazard. The same can be said for furnace repairs, too! Have you ever considered an air purifier installation? Air purifiers work to remove contaminants and pollutants from your home that could potentially make you and your family sick—especially if anyone in your household suffers from allergies or asthma. If you’re wondering if your HVAC system air filter can do this job, the answer is no. That air filter is in place to protect your HVAC system, not your indoor air. To learn more about our Thornton, CO indoor air quality systems and services, call our team today! We’ll help you understand the best options for keeping your home comfortable and healthy. Love Cool Sunshine Very Nice Great Service and Good Prices.